The Two Worlds of Charlie F. will be touring nationwide from March 2014. 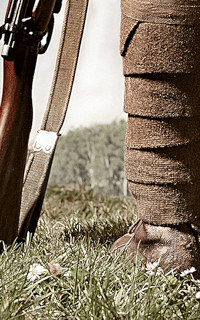 Visit www.charlie-f.com for dates, venues and tickets. 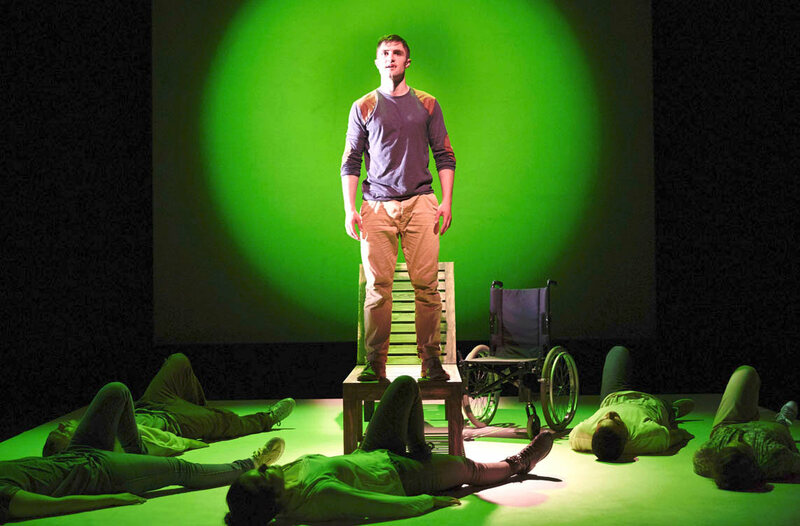 The Two Worlds of Charlie F. is a play written by Owen Sheers and directed by Stephen Rayne, based upon the experiences of wounded and injured service personnel who also make up the majority of the cast. 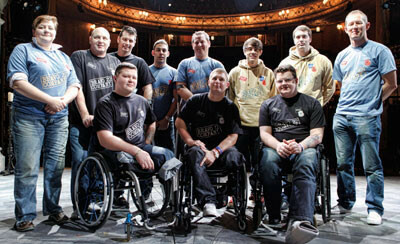 The play, produced by Alice Driver of Masterclass theatre for the Theatre Royal Haymarket, was funded by the Royal British Legion. 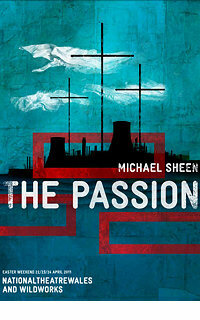 A BBC One Imagine special about the making of the play was broadcast in June 2012. 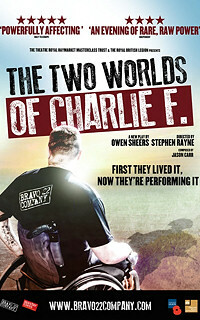 In the summer of 2012, The Bravo 22 Company toured the production of The Two Worlds of Charlie F to The New Alexandra Theatre, Birmingham, The Sherman Cymru Theatre, Cardiff in July, The Pleasance Grand as part of the Edinburgh Festival Fringe in August and finally returned to London’s West End in early September. The New Alexandra Theatre, Birmingham 19th – 21st July 2012. The Sherman Cymru Theatre, Cardiff 25th, 26th & 28th July 2012. The Pleasance Grand, Edinburgh Pleasance Courtyard 7th – 11th August 2012. Theatre Royal Haymarket, London 9th September 2012.